Have you ever wondered why only 5% of Forex traders are actually successful while the rest give up along the way? I mean, a whooping 95% lose their entire investments and conclude that trading is not worth throwing a penny at. If you’re among the 5%, you are very lucky. This post is not for you. However, if you’re among the 95% which is the percentage of losing traders, then this Forex guide is just for you. I know that Forex scalping has attracted criticism a lot from people who call themselves ”professionals”. But one thing I can tell you is that scalping Forex for a living is a reality for some people and a hoax for others. When I started Forex trading 2 years ago, I first started out as a scalper and I made huge profits even as a beginner with little experience. I had practiced my scalping techniques for about 4 months only, and when I went on a live account, I was surprised that my method was working. It had a high success rate. Because my Take Profit levels were being hit every time, everyday, I found myself wondering why exactly traders lost money. I mean, this was a walk in the park for me. I didn’t sweat so hard to make money as a Forex trader. So I assumed that everyone else was making money the ”easy” way too. Then around that time, I began doing my own research in popular trading forums on the internet. I went through Forex Factory and other forums and realized that many traders were confessing that trading was extremely difficult for them. I even came across several articles on the internet which stated that trading was only for the few. Many people struggled and failed. And then there were those who were selling Forex trading courses on the internet. These too claimed that they had some sort of snake oil for those who were losing money. At the end of the day, this information was overwhelming. But the general consensus was that only a few guys were making it. My simple scalping system: I started using it and am still using it today after going through hell! I have tried swing trading several times and failed to make any significant money despite ”professionals” telling me that swing trading is the best way to trade like a pro. It doesn’t work in all market conditions while scalping does. 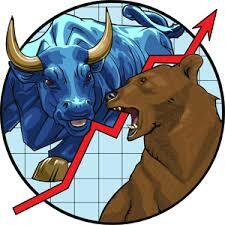 Secondly, swing trading can be very frustrating when the markets are slow. If you’re trading a currency pair that barely moves 50 pips a day when markets are slow, how long do you have to wait for your 100 pips take profit entry to close? And how sure are you that price will even reach there in a slow market? Thirdly, if you’re trading with a small capital, it can take forever to build it up or make a living out of it. Swing trading, by definition, is the act of leaving your trades to run for more than a day, and sometimes it can run even for weeks just to collect your profits or losses. They say that learning how to trade properly is a trial and error process, which is very true. I personally tried scalping, then went to swing trading (and lost terribly) and now am back to scalping (which I have successfully practiced for a significant length of time now). The reason why I tried swing trading is because I read many articles about its benefits and why it was the most profitable way to trade. I even bought a Forex trading course worth $200. The course was divided into 2 parts. The first part taught me about price action and how to trade it. Now, price action is a reliable way to trade, don’t get me wrong. However, the second part of the course seemed to emphasis that leaving trades to run their course was the best way to trade the markets. So, I mastered price action (I never use robots or Forex indicators by the way) and began using it. Price action is very reliable because it gives you a true picture of what raw price is doing. Unlike Forex indicators which tend to lag behind, price action helps you to determine the right entry signals so you can enter when the rest of the traders who cloud their charts with dozens of indicators are still figuring out what to do. I believe the best scalping system is one that is tailor-made to suit the currency pair. My system is comprised of a few things worth looking at. For example, I am not going to scalp a currency pair like GBP/JPY the same way I scalp EUR/USD. If I do, then the dreaded thing is bound to happen. Since GBP/JPY has no qualms going 200 pips against me, it is only expedient that I trade in small volumes to make up for that kind of volatility. On a typical trade entry, I usually give GBP/JPY a Stop Loss allowance of 80 pips (depending on whether or not a key support/resistance level is preceding my entry point. These levels tell me that price is likely to bounce back, and this also determines where I place my take profit. Generally, my take profit for GBP/JPY or any other highly volatile pair is often 20 pips. And I always hit my take profit too quickly to allow me enter multiple trades in a couple of hours. On the other hand, when trading the EUR/USD pair, I always set my take profit at 10 pips and stop loss at 40 pips (maximum). But why is that so? Well, unlike GBP/JPY pair which can move up to 60 pips in one hour, EUR/USD is generally more stable and predictable. With some practice and a bit of screen time, you will realize that chances of EUR/USD moving against you by 40 pips in one hour is almost always zero. And if you know how to read price action properly, then there is almost 100% chance that the trade will close in the money. However, in case price happens to reverse against you by 30 pips in a span of 1 hour or so (which is a rare occurrence for those who scalp using price action), then it’s better to close that trade than gamble your investments. Why am I saying this anyway? Because I rarely see a profitable trade when EURUSD swings against me even by 20 pips in a span of one hour. Nevertheless, you should be on the right track as long as price is not reversing strongly against you by more than 20 pips (assuming you’re targeting a 10 pips take profit). Finally, if you’re trading a less volatile pair, you should increase your volume size to collect a sizeable profit even with 10 pips TP. Since a less volatile pair is fairly predictable (unless the big boys are stop hunting your trades), you can generally call it a day even with 5 pips TP only.